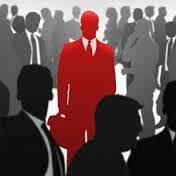 One of the biggest challenges faced by organisations is that of insider threats, which come in diverse and complex forms, and individuals with multiple motives. REINOSO CONSULTORS goes beyond the deliberate insider threat, with an innovative approach that also tackles the unconcious insider and crimes of deception. Given the difficulty in the early detection and neutralisation of deceiving techniques used by social engineers, fraudsters and criminal organisations, awareness training is a crucial weapon for the company to combat human based and insider threats. Our experts in security have extensive operational experience, applying Human Intelligence (HUMINT) techniques. Their principles are included in the company risk assessment, and we offer tailored guidance to organisations. These apply to areas such as counter-fraud, and bribery, financial crime, cyber-protection, and counter-terrorism. Protection against malicious HUMINT practices. • Defend against HUMINT deceptions that threaten the security of their organisations. • Report suspected attacks or behaviours without fear. • Implement security assessments for human risk factors.